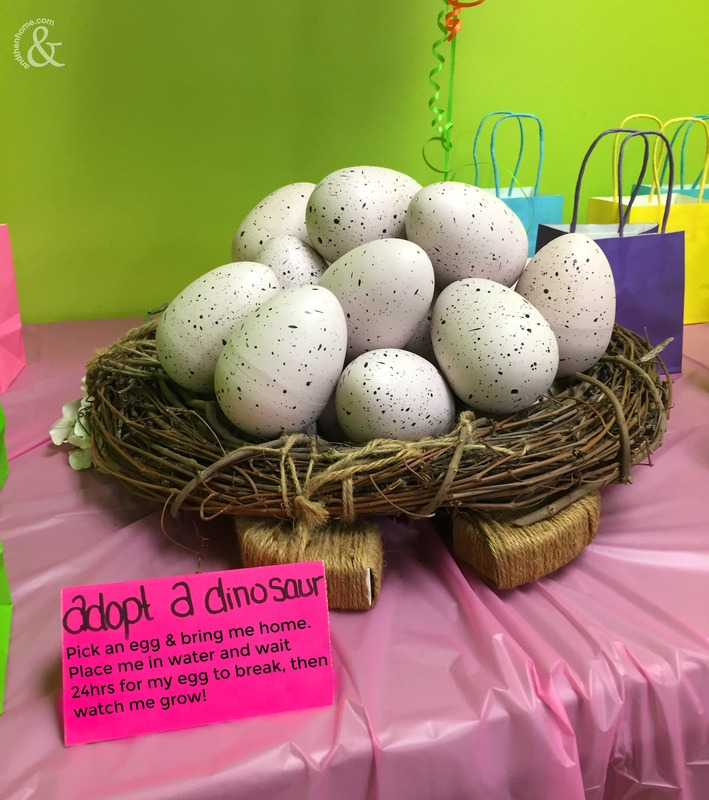 We recently had the pleasure of attending a dinosaur themed kids birthday party and wow did they have some cute and easy ways to make the theme come to life. 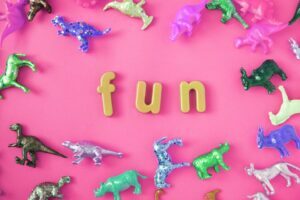 This Kids Birthday Party Theme Idea: Dinosaur Birthday was for a four year old girl. All of the kids enjoyed the fun elements that were there including balloons, wall art, themed food and more. My daughter (also four) even got some of the ‘jokes’. 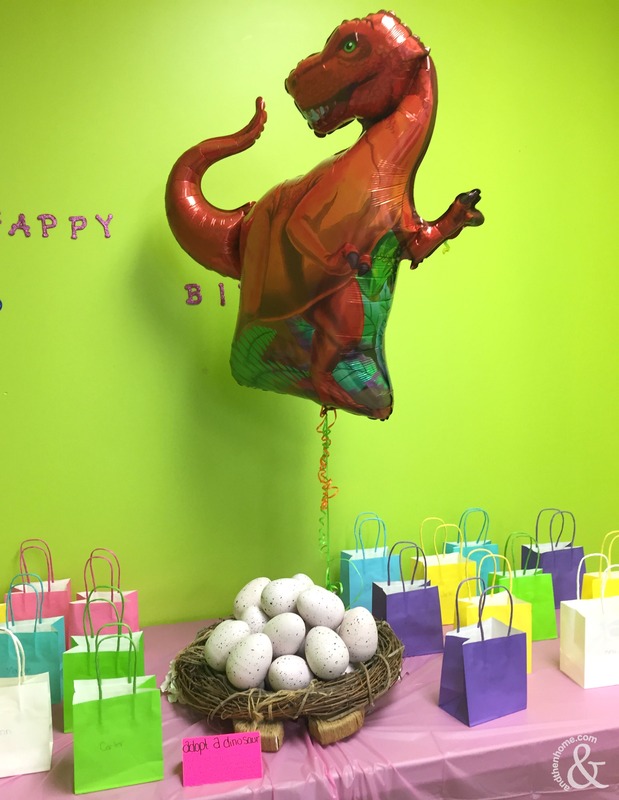 So, if you have a Dino lovin’ child and want to easily give them a roaring birthday, read on! 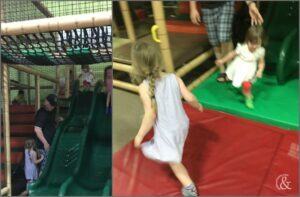 The birthday was held at an indoor play place that is local to us. If you have one near you I highly recommend them for birthday parties. The kids have so much fun and there’s less stress for mom and dad. Most establishments allow you to bring in your own (peanut free) food, snacks and cake. The play place close to us includes two large pizza’s and drinking boxes, which is extra nice. Decorate your room as you see fit and quickly tear down when your done and thats it! No cleaning toilets or worrying about having 10+ small children in your house! That being said, let’s get to the details of this awesome Dinosaur Themed Birthday Party! The tables were set with bright pinks and purples, no doubt the birthday girls favourite colours. Cups, plates, napkins and cutlery all in those colours also. Tied to chairs and placed on tables were pink, purple and dinosaur shaped helium balloons. One of my favourite elements was the dinosaur head fruit bowl! 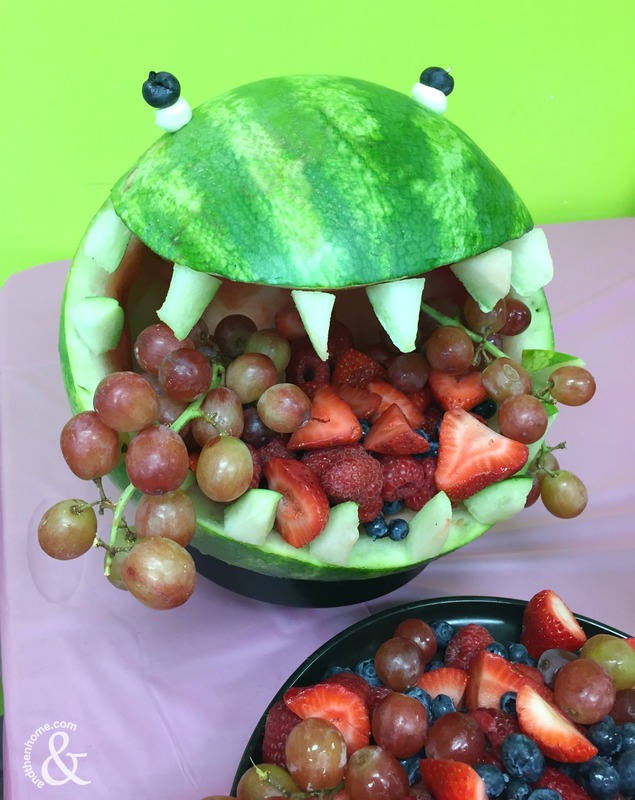 A watermelon was carefully cut and carved into a T-rex head. To do this all you need to do is cut a rectangle shaped piece out of the watermelon, set this aside as you’ll need it for the teeth. Then carefully scoop out the inside. Use a melon baller to do this and place the balls aside, this way you can reuse them. Cut triangle teeth out of the rectangle piece placed aside previously. Secure them around the ‘mouth’ as seen in the picture, white pulp facing out, with toothpicks. The eyes are made of a small white marshmallow and a blueberry on a toothpick. The food was delightfully labeled with bright bristol board. 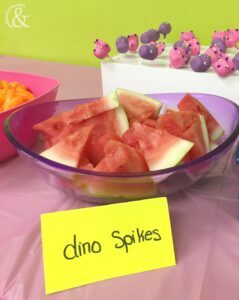 My daughter had a laugh at the funny food labels, “Dino spikes” were watermelon and “Dino eggs” were donut holes! I thought this was a very cute and easy way to add to the dinosaur theme. 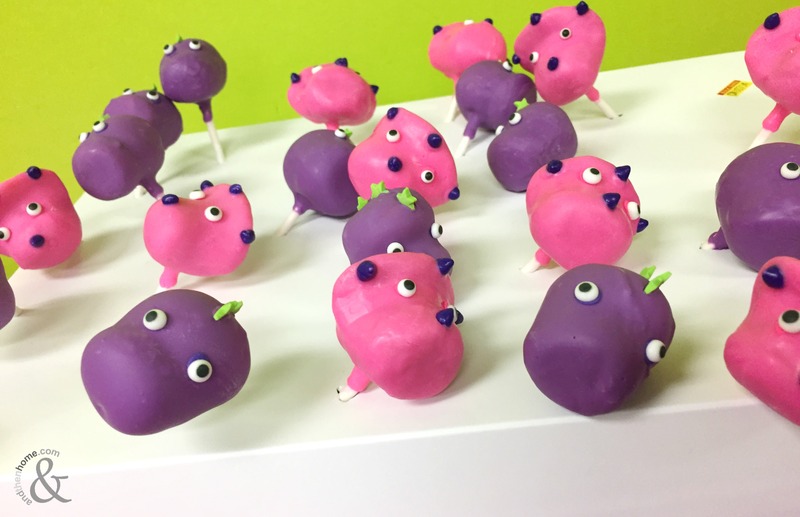 In lieu of a traditional birthday cake there were Dino-pop’s offered. All the kids seemed to like the cake pops because it was something a little different. Sticking to the colour theme, they were pink and purple and oh-so cute. Loving this themed birthday party? See our Curious George Birthday Party. 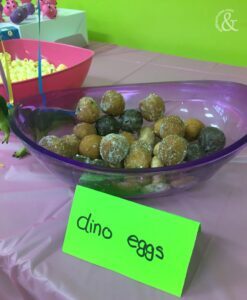 The favours were dinosaur eggs. 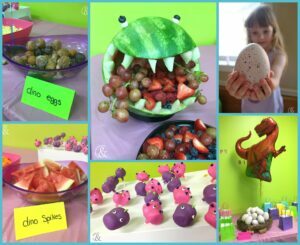 These were purchased from the local dollar store and were the PERFECT favour for a Dino party! They were displayed in a little nest with a sign that said “Pick and egg and take me home. Place me in water and wait 24hrs for my egg to break, then watch me grow”. There were bags for the kids to put their eggs in to take home. The nest was made using a twig wreath, with twine wrapped around for extra effect! 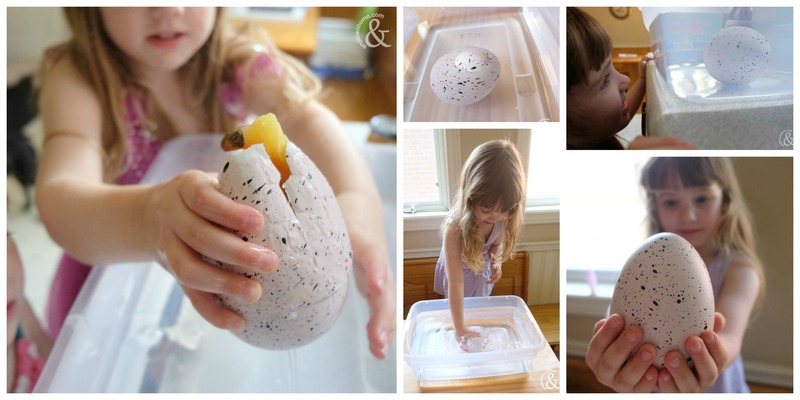 At home, my daughter loved the dinosaur egg favour! So that’s the awesome Dinosaur Themed Birthday Party we attended! 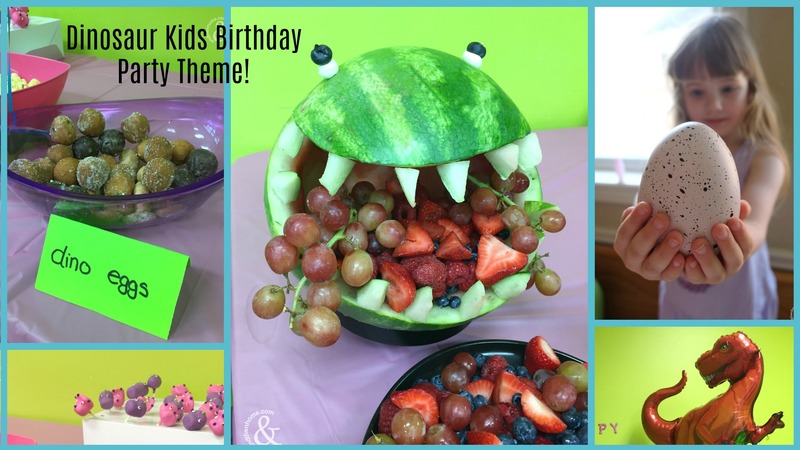 A great birthday party idea! I hope you got some great ideas for your Dino-fan’s birthday party! If you have any other ideas, please feel free to share them in the comments so everyone can create the perfect party for their dinosaur loving kids! Remembrance Day – What Does it Mean to You?